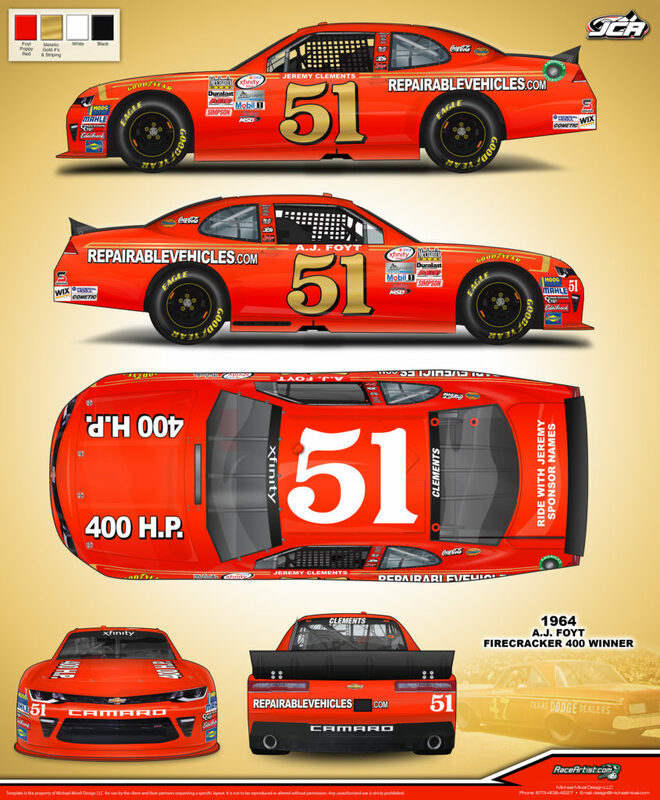 Spartanburg, SC – Want to be part of Throwback weekend at Darlington? Here is your chance to #RideWithJeremy on the A.J. Foyt (Super Tex) car and be part of the Sports Clips VFW 200 with Jeremy and JCR at Darlington Raceway. Come aboard today with this awesome opportunity and please like and share with your family and friends!! We will send a picture of the decklid with names to all who participate. Please make payments to Paypal jeremyraisin@yahoo.com as friends and family and include names and mailing address in comments.